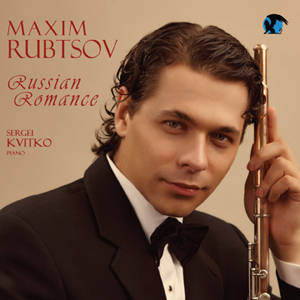 Maxim's first solo CD, Russian Romance, was recorded at Blue Griffin studios and will released in August 2011. It will include such favorites as Rachmaninoff's Vocalise, Alabyev's Nightingale and many other Russian works arranged for flute and piano.Sergei Kvitko, produced the recordng and also appears on the CD at the piano. Clips from the CD will be available soon.